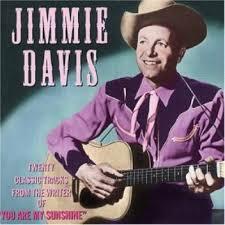 Jimmie Davis was born near Quitman, Louisiana in 1899 and lived in the state until his death in 2000. The son of a sharecropper, Davis rose to the highest levels of Louisiana politics. He worked as clerk of Shreveport's Criminal Court and as Shreveport's Commissioner of Public Safety before serving two terms as governor - from 1944-48 and 1960-64. 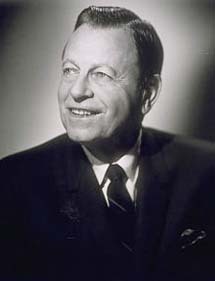 During his time as governor, he passed the Forestry Act, restoring the state's depleted timber lands, and oversaw the integration of the state's public schools. Davis was also a prolific songwriter, recording more than 50 albums and authoring more than 400 country and gospel songs. His signature song, and the Louisiana state song, You Are My Sunshine, has been recorded by more than 350 artists and is second only to Happy Birthday as the most recognized song in the world. He is a member of the Country Music Hall of Fame, the Gospel Music Hall of Fame, the Southern Gospel Music Association Hall of Fame and the Louisiana Hall of Fame.